During his speech at ASPI last month, Minister for Defence Industry Christopher Pyne reinforced the government’s commitment to the 2016 Defence Industry Policy Statement and its intent to foster an export-focused defence industry. 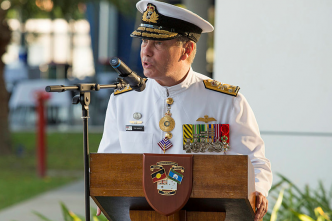 The policy statement says that, over the next two decades, ‘Australia will embark on one of the most extensive and ambitious shipbuilding programs anywhere in the world to modernise the Royal Australian Navy’. 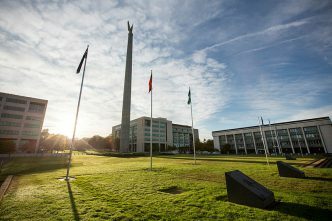 The challenge will be balancing the capability requirements of the Australian Defence Force with the aim of developing a genuinely sovereign industrial capability. 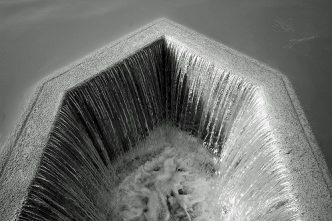 There’s also a need to incorporate an effective intellectual property strategy, achieve skills and knowledge transfer to an Australian workforce, and develop an Australian supply chain that covers whole-of-life considerations—all without prejudicing foreign direct investment and capability development from companies that are ultimately foreign-owned. To frame the debate, we need to define what ‘sovereign shipbuilding’ is. 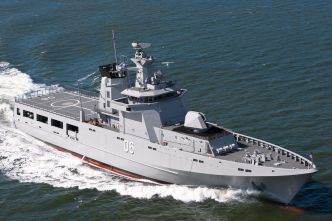 One definition, offered by Australian shipbuilder Austal, is ‘the ability to design, build, sustain, upgrade and export Australian built vessels, in Australian shipyards by Australian workers’. That’s an ambitious definition, but anything less would arguably constitute only partial sovereignty and therefore lead to only partial fulfillment of the ambitious nation-building objectives sought from Defence’s multibillion-dollar investment in new ships and submarines. Developing an indigenous design capability is critical. Without it, the industry won’t be able to create the intellectual capital necessary to export and drive local research and development. It also won’t be able to create the enduring industrial capability that would come from integrating local equipment and products into ship design. The Australian government and the Royal Australian Navy buy ship designs, not ships. And almost invariably they’re seeking local production, just as Australia has done with its Sea 1180 and Sea 5000 projects, and the shipbuilding programs before them. If we want to develop an export capability like that of the UK, Spain, France, Germany, Italy or the Netherlands, then we’ll eventually need our own ship designs. Otherwise, we’ll simply remain a builder of another country’s designs that have been exported to us. When given the opportunity, Australian industry has proven its ability to meet and exceed world’s best practice in shipbuilding, as evidenced by the improvements achieved in both the air warfare destroyer build and the Collins-class submarine sustainment program. Austal, too, has shown what Australian-owned companies can achieve. It has proven its credentials on an international stage, and cracked the elusive export formula on a significant scale, by being the only foreign shipbuilder to construct ships for the US Navy. 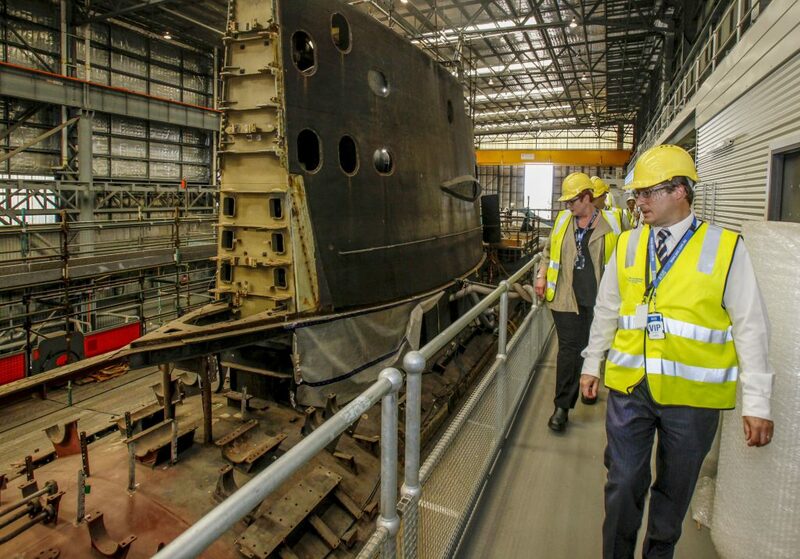 Local design is the pathway to developing a true and enduring Australian industry capability for shipbuilding. When we buy a foreign ship design, it comes with a foreign supply chain. Equipment and components in a ship get selected during design, not during construction. We may get some local industry involvement by requiring design changes and specifying Australian content, but that alone doesn’t develop a true enduring design capability. On the other hand, a locally developed ship design can incorporate local equipment and products and, importantly, encourage local research and development, particularly if the investment is supported by significant export opportunities. If we then export that design, the primary beneficiary will be local Australian companies that receive orders from the overseas shipyards for the equipment and products specified in the design. A local design can be optimised for efficient production in Australia by being matched to the shipyard’s capabilities and production processes, resulting in lower overall cost. The latest technology and production innovations can be quickly and efficiently incorporated into the design locally, delivering immediate capability and cost benefits. A truly sovereign shipbuilding capability will deliver significant benefits to our navy. It will allow Australian research and development to be focused on solving Australian problems. 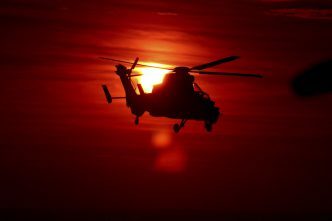 The solutions can then be integrated into Australian designs to ensure they are aligned with the navy’s requirements and operational environment. The three designers selected for SEA5000 are their countries’ sovereign naval shipbuilders and highly experienced global companies. The ship designs they offer are all highly capable, so the question is how can this opportunity be best utilised to develop a true sovereign shipbuilding capability? The answer is, by allowing Australian companies to gain the build experience needed to develop design skills. We are a smart country and developing an indigenous design capability is well within our abilities. Just look at what Navantia has achieved with the support of the Spanish government and navy, going from builder of foreign designs in the 1980s to exporting its own local designs in the 2000s. 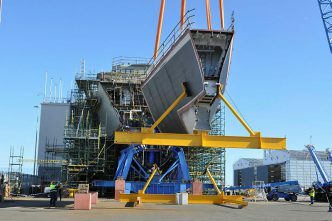 Without full support for this ambitious goal, the Australian shipbuilding endeavour could become nothing more than a labour and parts supplier program. The award of the SEA5000 contract and the soon-to-be-released defence export plan provide a once-in-a-generation opportunity to position Australian industry to gain the skills and experience needed to become a sovereign ship designer, builder and exporter. That can only be achieved if the federal government and the Department of Defence back Australian industry. 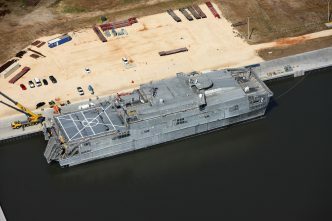 The combination of Austal’s design and export experience and the experience gained by the ASC in its journey to world’s best practice in complex naval shipbuilding provides the government with a great opportunity to position Australian industry to develop a sovereign design and export capability for the future. Margot Forster is the chief executive officer of the Defence Teaming Centre Inc. Image courtesy of the Department of Defence.